Dragon Ball Super Episode 111: The one-hour special segment (comprising of both 109 and 110) was so special that fans are still talking about it. Now, it’s time for the DBS ep 111 release which is coming next week. 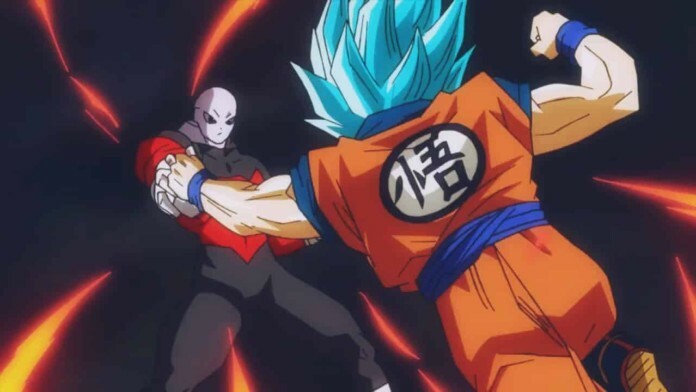 In the last episodes, we saw an incredible fight between Universe 11’s Jiren and Universe 7’s Goku. It was a real epic battle. None of them won it. However, Hit challenged to fight Jiren at the end. So, in the upcoming episode, the viewers will see another big battle Hit vs Jiren. It’s titled ‘The Battle Between Hit and Jiren’ in which the strongest warriors from U7 and Universe 6 will fight each other. It will be an intense battle without any doubt. Vegeta is gearing himself to fight Ribrianne. Meanwhile, Goku will stay out of the competition to power himself up to fight Jiren once more. Son Goku got out of juice while fighting his strongest competitor of all time. Whatever may happen, it will surely be an epic episode to watch out for. In the preview promo available, we can see that Jiren can take Hit’s most powerful attacks with ease. So, it’s going to be a tough time for Hit while facing Jiren. Let’s see if U6 assassin has some special powers/techniques to defeat his opponent. Goku mastered ultra-instinct form and the royal blood & the prince of all Saiyan, Vegeta couldn’t hide his insecurities to Goku. It’s because he didn’t give his Ki like other warriors did. It is surprising as Frieza also gave his Ki. Even Beerus hasn’t achieved his Ultra-Instinct mode. It’s also possible that if Goku tries and perfects his latest transformation, then the god of destruction may go against him. Until now, Vegeta has also not come any closer to unlock the power within himself. Related: One Piece chapter 882. DBS ep 111 will air on October 15, 2017, at 9 am JST on Fuji TV. It will be able to watch online (via live streaming) on Crunchyroll and FUNimation. Toonami airs English dub version on Adult Swim. Titles for episode 112, 113, 114 have already been revealed and they are Vow of Saiyans, Vegeta’s Resolve!, Having fun! Combat loving Saiyans Battle Once More!, and Dreadful Situation, Sudden Appearance of the new Super Warrior! respectively. What are your views and thoughts regarding it? Share with us in comments. Don’t forget to share it on facebook, etc. Stay tuned to TheReporterTimes for more DBz updates.